Low-impact buys that'll help you hold onto more cash over time. 1. A Makeup Eraser to eliminate the need for that luxury eye makeup remover you include in your monthly budget. 2. A set of de-icing cables that'll make snow melt in a path that won't lead to atrocities like blocked gutters and ice dams. Ice dams are THE WORST and these cables make it easier for destructive snow to melt on your roof, funneling it into gutters more easily and thus preventing blocked gutters! You just have to screw the mounting grips onto your roof like above. Promising review: "I've been using Easy Heat roof de-icing cables for 20+ years. These cables work perfectly to prevent ice dams. The first set I installed lasted over 18 years (I'm told by an electrician who professionally installs Easy Heat cables that they usually last about 10 years depending upon how much summer sunlight they're directly exposed to). I've just installed new sets after having my roof re-shingled. Due to the rough winter last year, I've also added cables over areas of the roof not previously covered with the cables in order to prevent any ice dam formation in those locations in the future. The installation instructions are extensive and very clear (you can download them from the web and review them beforehand). The instructions provide guidance on how to measure areas of your roof where you want to install Easy Heat cables so you can order cable sets of the correct length. Installation is straightforward. Easy Heat uses a clip that slips onto the edge of shingles in order to hold the cable in place. Other cable systems sometimes use clips that are nailed to the roof which was certainly nothing I wanted to do. Easy Heat clips are easy to slip onto the edge of the shingle without damaging it. I recommend Easy Heat cables for home use." —Robert C.
Get 100 feet from Amazon for $63.87. 3. A six-pack of silicone beer savers for keeping those huge craft investments in peak drinking condition in case you can't finish off a whole bottle in one sitting. Get them from Amazon for $9.84. 4. An indoor/outdoor pet-bathing tool so you can easily give your BFF a bath at home when they're smelling a little less than fresh (instead of making a grooming appointment). Designed to fit securely to either hand so you can control your dog with both hands while soaking the densest of fur. Reduce spraying water and stress for anxious pets. Includes adapters for connecting to shower bath tubs or outdoor garden hoses. 5. 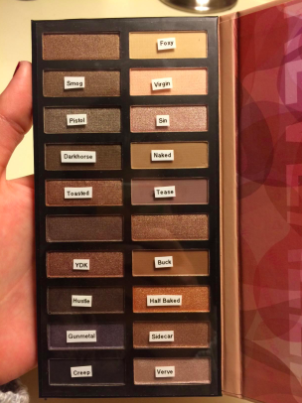 A eyeshadow palette with as much payoff as the holy-grail Urban Decay Naked palettes, but for way less bucks. Get it from Amazon for $15.84+ (available in six color combos). 6. A multitasking putty set to fill gaps, seal leaks, and adhere heavy stuff to household surfaces. It'll save you some serious repair costs when you decide that was an *awful* spot for a towel bar. Use it for a filling or sealing leaks. Supports up to 350 pounds. 7. A sturdy mattress foundation that'll create additional storage area out of thin air AND let you free yourself from the burdens of a pricey box spring. I bought this in October in a full and LOVE it. It took maybe five minutes to set up and has rounded edges, unlike my old bed frame that kept my shins constantly scraped and bruised. It also felt great leaving my ancient box spring on the curb, which would've just been something else I'd have to pay to move in a few months when I get a new apartment. Get it from Amazon for $56+ (available in sizes narrow twin–California king). 8. A back shaver to serve as a de-fuzzing assistant instead of taking a gamble on another waxing Groupon. Get it from Amazon for $27.95. 9. A nail polish holder for less than the bottle of the good stuff you spilled last month. And most definitely less than a manicure. Get it from Amazon for $9.99+ (seven colors). 10. A pair of snow cleats that just may be the motivation you need to go on morning runs OR can take the place of buying a proper pair of snow boots if you live somewhere that rarely gets a dusting. Get them from Amazon for $16.87+ (available in four sizes). 11. Or if you *need* some snow boots, these will get you from point A to point B without becoming a walking snow-day GIF. I've had these for more than a year and they are surprisingly cozy. That's saying a lot because I hate any kind of essential cold-weather gear. Read my full review here. Get them from Amazon for $14.99+ (available in women's sizes 5–11 in 19 color combos). 12. A Beautyblender dupe as a way to achieve an airbrushed look without robbing yourself of $19 every single time you need a replacement. 13. A silicone soap tray with plenty of ~tasteful~ draining space so the bottom half of that fancy soap your aunt gave you for Secret Santa won't become useless goo. Dishwasher-safe so it's easy to clean the thing that holds the cleaning thing. 14. A tub of Aquaphor as a winter skincare precaution to keep your lips, hands, or other exposed skin from getting wind chapped when you have to brave the elements. This budget-friendly tub (that, tbh, is huge) is significantly less than any skin product you'd have to buy to remedy wind-chapped skin. 15. An elegant wine decanter so you can say "I'll have the house red" to yourself when you open a budget wine because letting that stuff breathe makes it taste like it costs $5 more a bottle. And it's probably the same as the house red at the restaurant where you'd rather be eating than on your couch. Yes, you could buy a wine aerator that you stick on the bottle, but a carafe does a better job of letting it breathe and it looks fancier. Made of lead-free crystal. Designed to hold a standard volume of a 750ml wine bottle. Promising review: "I love that it can fit a whole bottle of wine with no problem. People usually get nervous when they hear blown glass, but this is very thick. It makes the wine taste so much fresher then normal. I would definitely recommend for anyone that loves to drink wine. Makes a great gift!!" —Erica W.
16. 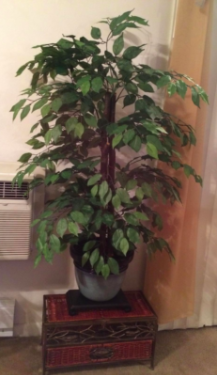 An= faux house plant in case you resolved to give up on the pricey (for you) hobby of indoor gardening but still want your place to look like a lush jungle. 17. Or if you're still stanning actual plants, a pretty bird watering globe to keep those beauts alive and maybe slash some cents off your water bill. 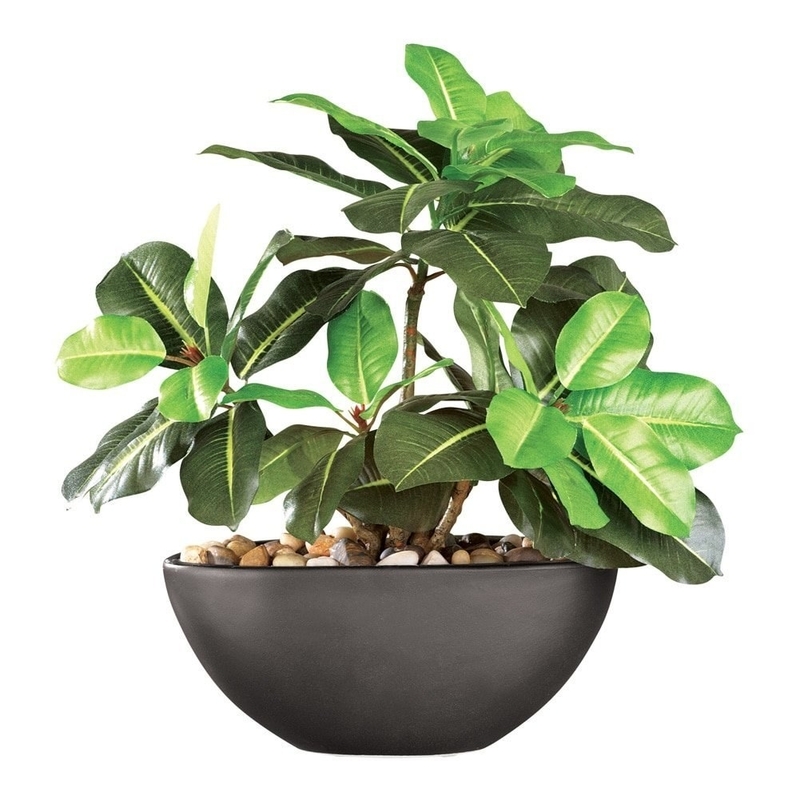 Every plant's different, but the manufacturer estimates that this globe can hold enough water for up an average of to 1.5–2 weeks. 18. A laundry-detergent drip catcher to help salvage some of that precious goo, so you can go a tad bit longer in between shopping trips. 19. A pair of egg poachers so you can DIY brunch every once in a while because your bank keeps telling you to spend less on Eggs Benedict. Eggs Benedict is THE BEST brunch dish (don't @ me) but poached eggs are tough to pull off. These little gadgets are designed to mimic the traditional water bath poaching method. So they're kinda like training wheels! Plus, they ring in at just under $10, which is about the lowest I've ever paid for decent Eggs Benedict. 20. A five-pack of remote-controlled flameless candles as a mess-free way to set the mood once you've burned through all your holiday-gifted pillars. These candles are powered by 2 AA batteries each (not included), work for up to 50,000 hours, and have a remote control with automatic on/off timer function, to 2 hours/4 hours/6 hours/8 hours. And they look like they flicker! 21. A four-pack of refillable K-cups if you've already invested in a K-cup machine but are sick of dumping all your change into single-serve cups. Made with a stainless steel–micro mesh filter. 100% BPA-free, non-toxic. You in a few months, but feeling good because you did it legally!!!! !